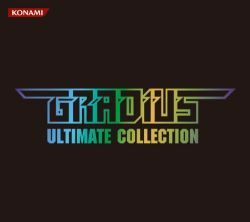 Disc 6 tracks from Gradius ReBirth differ slightly from their original release (LC-1741). The updated tracklist contains new music that was included in an update to the WiiWare game. Disc 8 tracks from Solar Assault are presented as Solar Assault Revised. The included booklet gives an alternate ordering for Solar Assault as 01, 02, 03, 04, 05, 10, 11, 08, 09, 12, 13, 14, 16, 17, 18, 19.